Firefighters will be given their assignments to report to one of 20 city fire stations beginning duties next week. 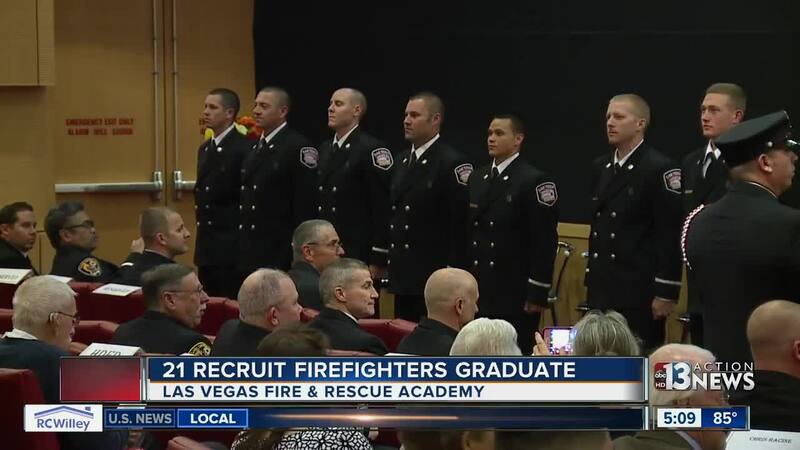 Twenty-one Las Vegas Fire & Rescue firefighter recruits, who have completed intensive training over the past 26 weeks, graduated Thursday afternoon in a ceremony at City Hall. Class 2017-1 started on Oct 31, 2016. The recruits received training in various subjects pertaining to firefighting, emergency medical services and hazardous materials.